The votes have been tallied and Audra McDonald’s “Climb Ev’ry Mountain” is now the definitive rendition of that song. How is it that ev’ry part she plays seems as if it was written explicitly for her? That’s talent. Laura Benanti has been crowned the side-eye champion of the world. This might seem like a minute detail, but that twinkle of sarcasm made a character possibly perceived as outdated feel very contemporary. There were some clever (though not flawless) transitions that perhaps tried to negotiate the disparities between theater and film, most clearly demonstrated by Derek McLane’s set design. For example, Maria’s departure from the house foyer to return to the abbey was a shifting wall. In this simple motion, it was acknowledged that the performance space was the same but kept the narrative running seamlessly. These transitions maintained the emotional dimension of the story while still moving it along. While Ms. Underwood’s efforts at taking on a project outside of her comfort zone should be applauded, her singing voice was far too powerful for Maria, and, by awkward contrast, her speaking voice far too tame. Perhaps next time a supporting role to build some acting chops? If choreography can be copyrighted, then “Sixteen Going On Seventeen” was shamelessly plagiarized from the ball sequence in Cinderella. Nit picky, yes, but it just happens to be the other Rodgers & Hammerstein musical in performance a mere few blocks away. Speaking of Cinderella, the Rodgers and Hammerstein organization boasted that they kept the show within the R+H family by employing the orchestra from the Broadway production of Cinderella for the background orchestrations. As it was Thursday night and Cinderella had a date with her pumpkin and prince at the Broadway Theater, however, that meant that all the orchestrations for the telecast were prerecorded. A hoard of tens of people thus demanded that the special be renamed The Sound of Music Live-ish. The telecast was directed by Beth McCarthy-Miller, who directed a large percentage of 30 Rock episodes and a number of Modern Family as well. An esoteric chamber of my being was therefore hoping she might be able to extract a little more humor from the show (especially because I’ve heard legend of how funny the original Maria, Mary Martin, was). But that shan’t be held against them. And with that, I’m done talking. What has become the most compelling component of this broadcast is not the show itself, but rather the dialogue surrounding it. Nothing can compare to the 1965 film adaptation of the musical, of course starring Julie Andrews and Christopher Plummer. Purists might go so far to argue that it is one of the most timeless building blocks of our American cultural identity. It has such a childhood resonance for most, and is an icon of both film and theater. This is no revelation. People young and old love a soaring Rodgers and Hammerstein melody, and that rogue nun teaching those seven whippersnappers a simple musical scale holds a nostalgic and absolute place in our collective memory. 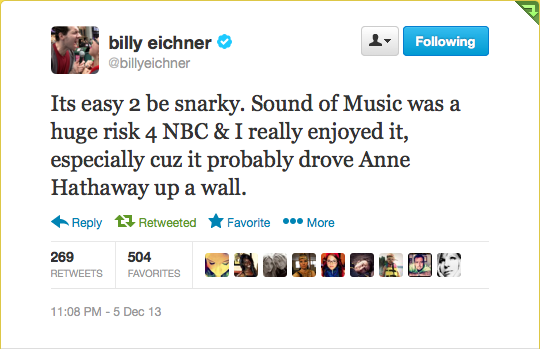 This thinking garnered the NBC telecast its celebrated ratings, but also lead to the barrage of skepticism and criticism before, after, but also very significantly during the live presentation. As a theater aficionado with a self-proclaimed discerning eye for the art, I possess quite a fondness for the film and musical theater itself. 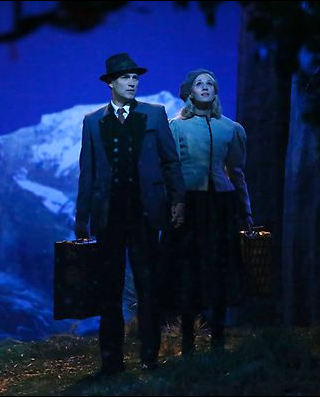 I would normally approach a performance such as The Sound of Music Live! with a certain critical eye, but there is something very powerful happening in the world of mass media, thanks to social media. A factor of the social media phenomenon is the ability to read and participate in a real-time commentary on what people are collectively watching. Such a commentary is precipitated often by presidential debates, awards shows, the Super Bowl—event television, if you will. As everyone is watching, everyone is tweeting. Unfortunately what typically dominates the rhetoric is a somewhat ugly side of humanity. In an attempt to be funny, people express the some very rude, derisive, and just plain mean opinions. This isn’t always true, but especially for something like The Sound of Music Live! with as much—shall we say—room for criticism, this is certainly the case. As such, I watch and am cognizant of how I would ordinarily be critical, but alternatively a new empathy definitely emerges as I read what the sassy social media lads and lasses are snarking. 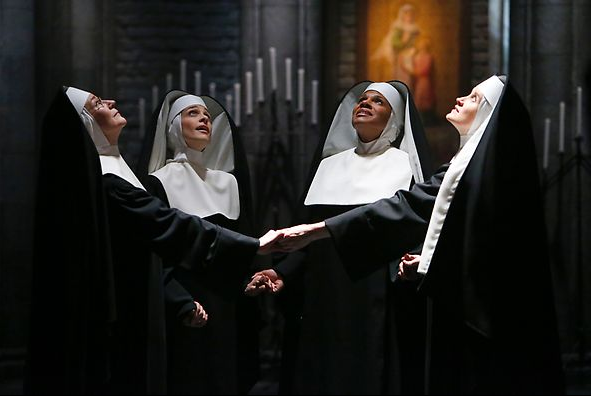 Jessica Molasky as Sister Berthe, Elena Shaddow as Sister Sophia, Audra McDonald as Mother Abbess, Christiane Noll as Sister Margaretta. Photo by: Will Hart/NBC. This is not to dismiss all criticism, of course. To a large extent, criticism serves as a necessary cultural barometer, and also proves that art doesn’t exist in a vacuum. This is also not to say people aren’t allowed their opinions. But this open-source criticism and ranting rather situates us in the new framework of how we watch television “together,” particularly as we watch what would typically be a piece of theater. In the theater, you sit in the dark, alone with your thoughts, perhaps only slightly jaded by what Ben Brantley has had to say. But with television, particularly through the enormous proliferation of reality television, we have grown accustomed to a constant commentary. If it’s not talking-head interviews, it’s disembodied, 140-character opinions. The real-life nature of the live show is reinforced by the real-time commentary, almost not allowing you to invest in the characters as characters, but rather deepening the disparity between the actor and his or her character, solidifying the event as pure performance and isolating it for harsher ridicule and commentary. It is no revelation to say that social media is democratizing cultural criticism, but is it improving it? The snowball effect of negativity alters the effectiveness and productivity of criticism, at least for those not helping roll the snowball. To extrapolate my point, I guess I’m asking Twitter to have a conscience, which is akin to asking if a tumor has a soul. 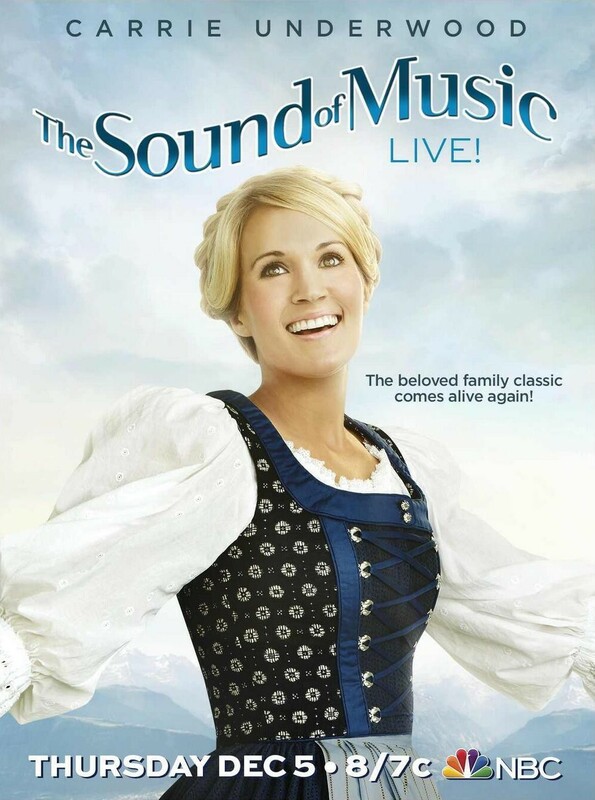 Stephen Moyer as Captain Von Trapp, Carrie Underwood as Maria. Photo by: Will Hart/NBC. In many ways the role of a critic is easy. We risk very little, yet enjoy a position over those who offer up their work and their selves to our judgment. We thrive on negative criticism, which is fun to write and to read. But the bitter truth we critics must face is that in the grand scheme of things, the average piece of junk is probably more meaningful than our criticism designating it so. But there are times when a critic truly risks something, and that is in the discovery and defense of the new. The world is often unkind to new talents, new creations. The new needs friends. 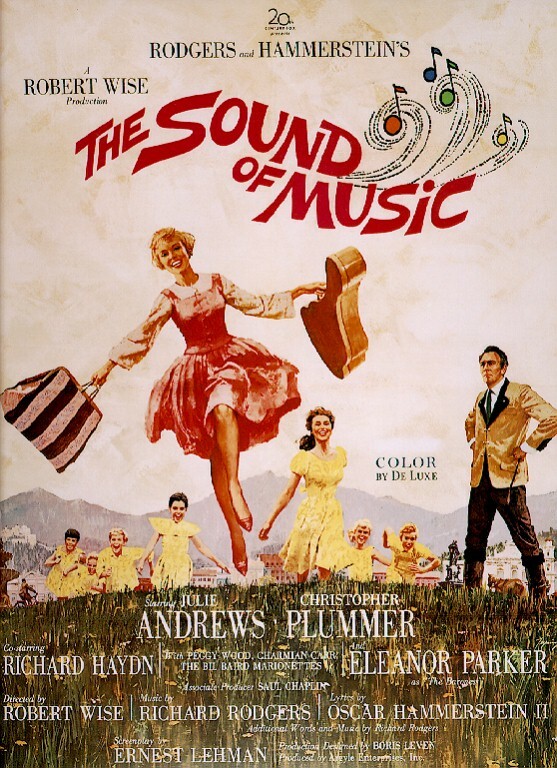 In The Sound of Music Live!, some may have found “junk,” but perhaps we should be more prone to defend rather than attack “the new.” As perhaps a rebuttal, ABC aired the film The Sound of Music last Sunday night. I was unable to watch, but I wish I had been able to view, because I certainly would have with an ear atwitter. Suggested wine pairing: Little Penguin’s Cabernet Merlot blend, because I’m 70% sure it’s what I drank to get me through the telecast with this uncharacteristically positive mindset. And, let’s be honest, no one took any of this that seriously.